With the temperatures rising it’s time to trade in those longer lengths for something short and sweet like capris, crops and culottes! Each of these shortened (but not high water) pant legs has their own special something, so get the scoop straight from a Stylist on what each pant leg means. Keep reading to learn about crops, culottes and capris! This is a traditional style of pant with an inseam that is usually mid to lower calf length. Height will determine the most flattering inseam for this style, but shoot for the hemline hitting right where the narrowest part of your lower leg begins. A cropped pant often has a hemline that stops right at or around your ankles. This silhouette is universally flattering and can be leg-lengthening for petite gals. 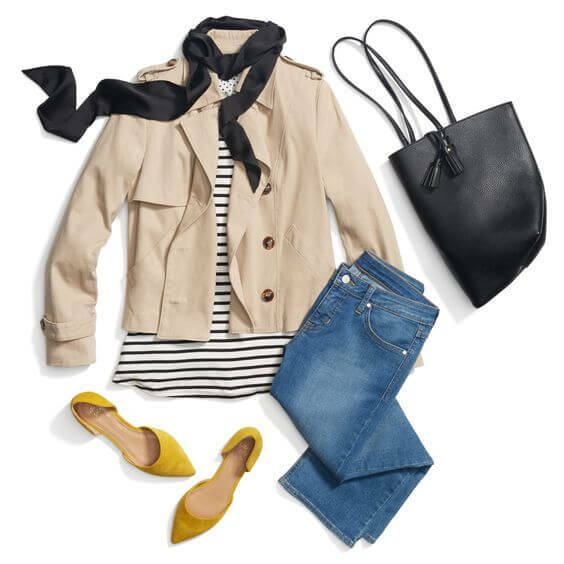 For the ultimate streamlined look while sporting cropped pants, stick to slim silhouettes with skinny jeans or sleek trousers to maximize your leg line. This style can vary in length stopping anywhere from your mid-calf to just above the ankle. It features a wide leg silhouette for an easy and breezy piece, perfect for the rising temperatures in the summertime. Wide legs have a tendency to shorten your frame, so be sure to combat this with a summery pair of block heels or wedges to add some height. We are loving these sleek cropped silhouettes and you should too! How are you styling your crops this summer? Tell us!